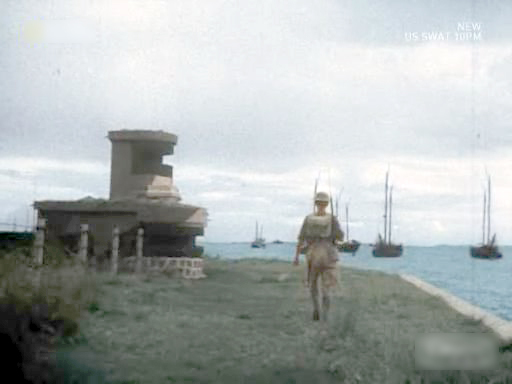 In anticipation of Japanese attacks from the sea or from Johore, defence structures and gun batteries were constructed along the coastline, especially on the Southeast facing the sea. 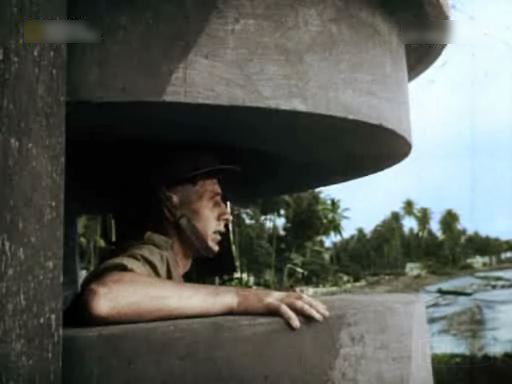 It was thought to be inadequate by British military intelligence, so more defence structures were built but it was too late and by the time of the Japanese attack overland, they were only partially completed. 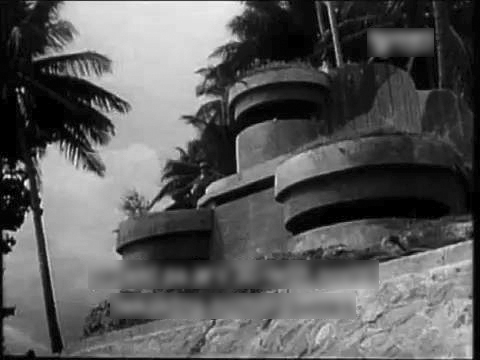 Concrete Pillboxes were built along the coastline of Singapore, c.1941. After the initial air raids in early December 1942, the invading Japanese continued to bomb various parts of Singapore. 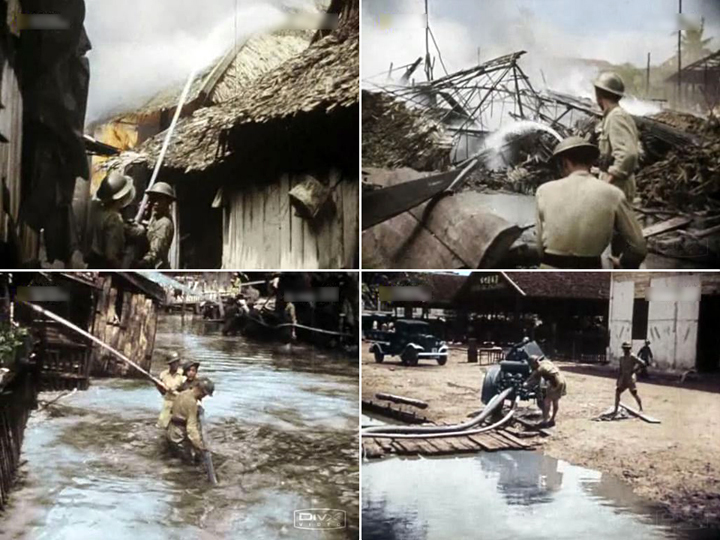 The villages and kampungs in the outlying countryside were not spared. 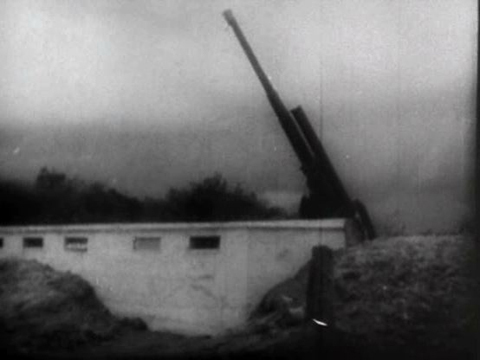 Moreover, after the Japanese conquered Johore Bahru on 31 January 1942, intense artillery shelling began on a regular basis. Surrender was imminent. Firefighting in the villages. c.1941. Air raid over the villages and kampungs. c.1941. The men wearing the round hats were probably ARP (Air Raid Precaution) wardens. Digging trenches for the defence of Singapore, c.1941. 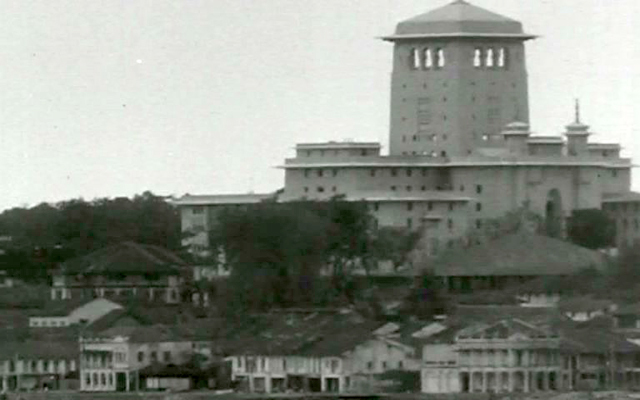 Old Sultan’s Palace in Johor Bahru (now Sultan Ibrahim Building), c.1941. When the Japanese army conquered Johor Bahru on 31 December 1942, commander of the invading forces Lt. General Tomoyuki Yamashita used the palace as his headquarters to plan for the attack on Singapore. It was chosen as the headquarters because it was the tallest building in Johor Bahru and had a commanding view over the Singapore island.